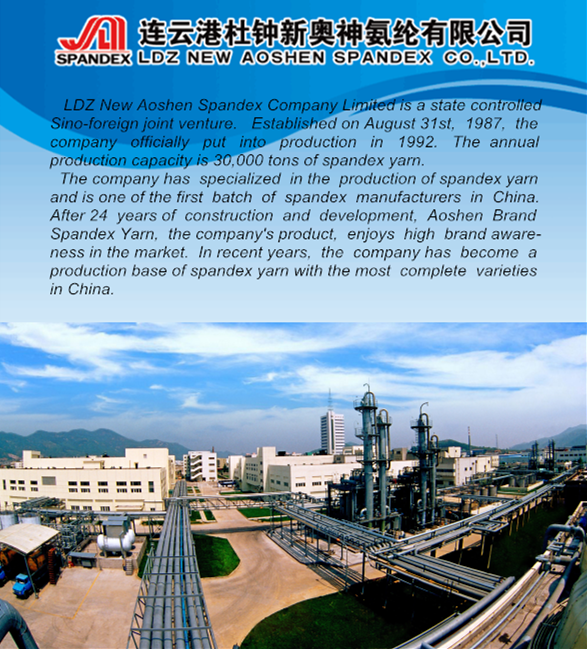 Aoshen chlorine-resistant spandex can effectively keep fabrics from elasticity deterioration due to the bleaching agent in the course of washing and keep the fabrics like swimsuits from becoming brittle due to the active chlorine in the environment like swimming pool. It can alleviate spandex damages caused by chlorine when the elastic denim needs chlorine-bleaching for the distressed effect. Looking for ideal Spandex Circular Kntting Manufacturer & supplier ? We have a wide selection at great prices to help you get creative. All the Chlorine Risistent Spandex are quality guaranteed. We are China Origin Factory of Warp Knitting Fabric. If you have any question, please feel free to contact us.